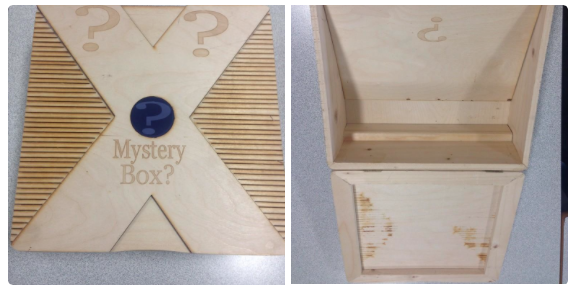 A “mystery box” made of any material.A range of objects, pedagogical tools, resources, teaching ideas/skills, articles or teaching and learning books. Staff volunteer to take part in the ‘Mission T&L Possible’. Selected at random, an item/object/article is to be placed in the mystery box by the person in charge of coordinating this scheme. This could be something like playdoh, a questioning cube, or an article about collaborative learning – anything that fits the bill for a bit of creative flair! The box will mysteriously arrive at the door of one of the participating teachers. Chosen at random, they won’t know when to expect it! The challenge is to incorporate/use the item/object/idea/skill/article within that week! It could be in a lesson, CPD, meetings or creating a resource for all to share. Then, let the fun begin! How could a ball of string be used to progress learning? What about an article on effective questioning techniques; how might you incorporate this? What about “inspire independent learning”;what could you come up with or use? Pictures and feedback are a must; let others look at how to use things in different ways! Who knows what creative teachers might create and innovate during this! Perhaps it’s revisiting a long forgotten, old friend idea that we would love to be refreshed on. Make the items subject specific?